St Andrews is a rental restricted neighborhood with a real sense of community. It is conveniently located near the golf course, community pool, marina, Grand Blvd and the Village of Baytowne Wharf. 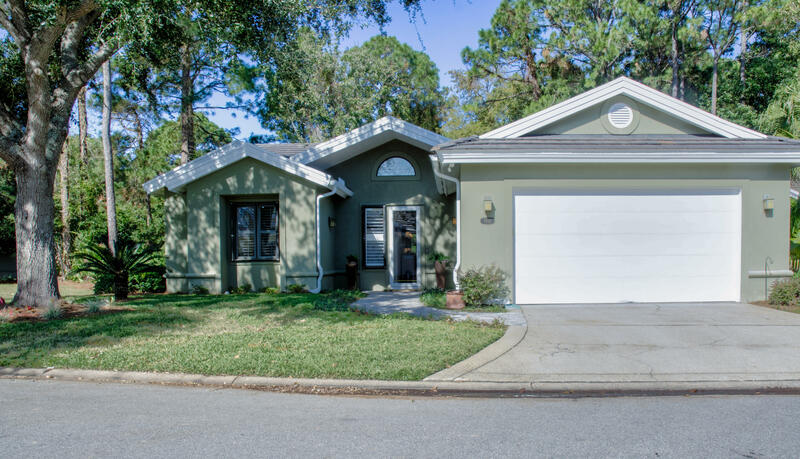 The home is one level and has a wonderful open floor plan with a large living and dining area and sunroom. There is also a breakfast nook off of the spacious kitchen which has all new appliances and beautiful granite countertops. The master bedroom is very spacious and opens onto the wonderful sunroom. The home has a new HVAC, custom closets, 10' ceilings, plantation shutters and shades in the sunroom. The interior has been recently painted and all of the exterior trim has also been painted. There are pavers on the front walk and also on the back patio. Hurricane shutters are on all windows. Building Name: St Andrews Dr.